These days I actually get to sit and enjoy my lunch, my colleagues as well as absorb what the speakers are saying rather than attending to the needs of the attendees and event details. This particular month, we had a panel of dealmakers reporting on the amount of ‘cash waiting on the sidelines’ to acquire private companies. The number was staggering. Apparently despite the fact our economy is sluggish, there are no shortage of acquisition shoppers. Yes, $10 Trillion in acquisition funds is stacked up waiting to be deployed. That’s enough money to buy out the 2.8 million boomer business owners who are still running their companies … will you win some of this jackpot? What does this mean to you the business owner with revenues of $10 – $500 million and a steady profit margin with a great product and service and a growing market? As long as you have made your company saleable, your illiquid asset could suddenly put you in the ultra high net worth category. So what are your chances. You probably have a successful company right? Piece of cake to find a buyer when you are finally ready to reinvent yourself… Don’t bet on that. Actually, it’s a piece of cake for Saleable businesses to attract a premium offer from an eager buyer. You will feel like you won the lottery. 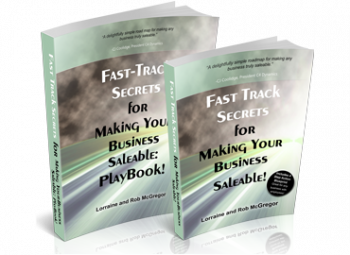 But if your company is UN-Saleable … well that’s like losing your winning lottery ticket. 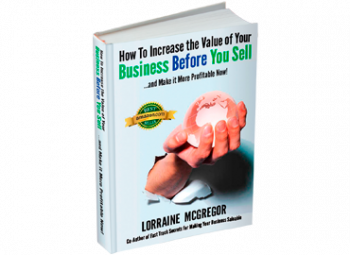 Until now, you, the business owner, would have no idea as to whether your company could be the rose in a field of weeds that buyers search the world over. You would only discover whether your company was saleable the hard way. Getting your partners to agree on a price and a date. Searching for an M&A advisor or business broker who will accept your company to represent for sale. 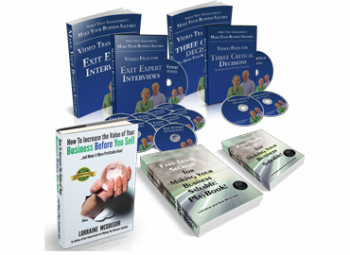 Spending months away from your business go through the endless due diligence list. Re-doing agreements with your lawyer and discovering you’ve got glitches that should have been worked out years before your exit. Re-doing financial statements with your accountant. Learning that you can’t fix your tax problems because you should have done that two years ago. Having to close your office door most of the day while you take phone calls from your team of advisors. Having to lie to your employees about why you are never available for meetings anymore. Wrestling with your broker about whether to let your competitors know your business is for sale even though they would be an ideal buyer. Waiting for responses after your ‘deal package’ hits the street. Answering all the questions that buyers submit to you, over and over again. Dealing with your disappointment when you still don’t have a letter of intent after each buyer’s interrogation. Questioning all the decisions you made in your business as you wonder why buyers aren’t following through with an offer. Getting a letter of intent that makes you feel like you’ve been punched in the stomach because of the covenants, the multiple and the number. Using your best negotiation skills to convince the buyer to offer more. Hearing that the reason the offer is lower than you expected is that you didn’t know to make the key changes inside your business that prove to a buyer you’re company is worth paying a premium for. Walking back into your business without an offer and getting re-engaged in running it again after months of distraction. Is this list an exaggeration? Overblown? Won’t happen to you? I wish we could say yes, it’s just hyperbole. But the statistics from Capital IQ tell us otherwise. Since 2007, 2.8 million business owners told PWC they would exit within 5 years. 1.7 million followed through on their decision. As of 2012, only 199,474 businesses (Under $500 million in revenue) actually found buyers and closed deals. 6%. Want to bet your company will get that lucky? Find out now, before you go through this heartache and debilitating experience by taking our Is Your Business Saleable Quiz. The quiz is free to the first 100 users. You answer the questions. We’ll send you a report on your results including what to do to make your company saleable. Tell us what you think of the quiz. And then tell us what you’re going to do with your new knowledge.